NICK TETOROS LIVES AND BREATHES BOXING. THIS LOVE OF THE SPORT HAS SPANNED OVER THREE DECADES. THERE HAVE BEEN HIGHS, LOWS, BELTS AND BROKEN NOSES, BUT IT IS THIS PASSION THAT STILL SEES HIM THROUGH EVERYDAY WHEN HE OPENS THE DOORS TO FITNESS RING, HIS OWN STUDIO DOWN A HIDDEN LANEWAY IN THE OUTSKIRTS OF RICHMOND, MELBOURNE. NICK WAS A PROFESSIONAL BOXER AND KICKBOXER FOR 11 YEARS IN WHICH HE HELD SEVERAL TITLES AND BELTS, INCLUDING WORLD KICKBOXING CHAMPION 1998 AND WBO WORLD BOXING ORGANIZATION RANKED #8 IN 2003. HE REPRESENTED AUSTRALIA AT THE PRE OLYMPIC BOXING TRIALS IN 1991. NICK WAS A SPARRING PARTNER OF FORMER WORLD CHAMPION, KOSTYA TSZYU, IN PREPARATION FOR KOSTYA’S WORLD TITLE ELIMINATION FIGHT. 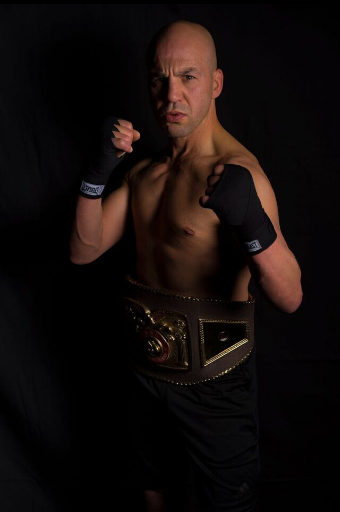 I SIT DOWN WITH HEAD COACH AND OWNER OF FITNESS RING, NICK TETOROS TO DISCUSS HOW HE PREPARED FOR HIS 1998 WORLD KICKBOXING CHAMPIONSHIP TITLE. When and where was your world title fight held? The Empire Theatre, Melbourne on November 29th 1998. Actually…next year will be my 20-year anniversary! How cool is that? What was your training program specific to preparation for the belt? My program was focussed on improving my cardiovascular, heart and lungs. To be able to execute the whole 12 rounds, to go the distance as it was a kickboxing fight. They don’t hold any 12 round kickboxing fights anymore, it’s too hard on the body and the feet and the fighter is open to so many injuries. Now the rounds are three minutes instead of two, and five rounds in total for professional kickboxing fights. How long did your fight go for? My title fight went for the full 12 rounds. I was so happy with the outcome that I decided to veer my professional career into another sport that I love, which was boxing. Did you follow a particular diet program? Instead of eating three to four big meals per day, I cut it down to eating five to six small meals which increased my metabolism. I also made sure that I was drinking three to four litres of water a day – I followed this program throughout my whole professional career. How important is mindset before an event like this, did you have a vision of yourself winning? Absolutely. It is all about focus and concentration on the goal. I thought about nothing else! I had to block out a lot of chatter before a fight, I never spoke to anyone apart from the guys in my corner – my trainer Dana (who was also an exceptional cut man), my brother, my family and my manager. How frequently were you training? Twice a day, at least five times a week in last six to eight weeks before the fight. I would then taper off in the lead up to the fight in order to be fully rested. Training sessions were an hour and half at minimum, and I tried to ensure that I got six to eight hours of sleep every night…. Which wasn’t always the case, because I would rather be doing the ground work in the ring. Who was your trainer and how long did you work together in preparation for this fight? My trainer was Master Dana Goodson, best kickboxing trainer I have had by far. I had been working with him for a while when I took a trip to Hawaii (his native home) and it was there that he sat down with me and gave me a clear view of the next ten years of my life, and I knew from then on what I wanted to achieve. He guided me to be the best version of myself. And I did achieve my goal, with his help – it took ten years of hard work. It is a combination of determination and who you work with that gets you to where you want to go. What is your advice for anyone looking to take their training to a professional level? Do the work. Do the hours. Do the extra yard and find the best trainers that bring out the best in you. Stay focused on the goal, always. That is the difference between being average and being brilliant. What are three words that describe the feeling when you won? Relief. Joy. Teamwork - I didn’t do it on my own. I had my family, my coach and my friends with me the whole way. When you started boxing professionally, did you miss kickboxing? Kickboxing I had so many great moments and memories, but now I lean towards Boxing. It is one of the best sports by far. I believe they should offer boxing in all schools because it is such a great way to build discipline and endurance. Don’t get comfortable in your zone. Results don’t come from a place of comfort.